Ovalette is a cake emulsifier and is used in sponge cakes. It’s the fastest way. Premix (296g/10.4 oz). Flatten each dough balls and fill with pancake sweet mix. 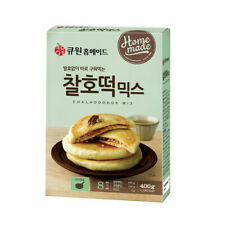 -Korean Sweet Pancake. Add the pancake flour into the dissolve yeast & mix. Flatten the pancake ball. lock the pancake. 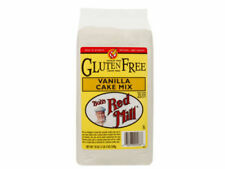 Use in gluten-free cooking to bind, thicken and emulsify gluten-free ingredients. 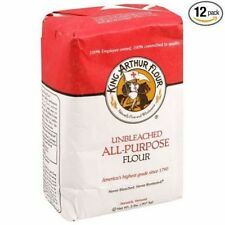 Ingredients: 100% Pure Xanthan Gum. Saturated Fat 0 g 0%. Total Fat 0 g 0%. Trans Fat 0 g. Dietary Fiber 1 g 4%. Calcium 0%. Japanese Souffle Pancake Mix. Very Popular! The item should be unused with all original materials. After receiving the item. Weight: 250g (8.8oz). About 1-2 weeks. About 1 week. NOW WITH MORE REAL PUMPKIN! 1 (ONE) 15 OZ BOX. Koepoe Koepoe Screwpine Flavored Paste (Green Color) ' Kupu-Kupu Pandan paste, is used for flavoring and coloring for cake and drinks. 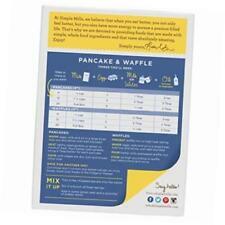 Sticky Fingers Premium English Scone Mix Variety Flavors Just Add Water 16 Oz. NEW: REESE'S PEANUT BUTTER & CHOCOLATE PREMIUM DESSERT BAR MIX. NOW Foods Guar Gum Powder. Ingredients: Pure Guar Gum. Sodium 0 mg 0%. Calcium 0%. Pure Powder. Calories from Fat 0. Total Fat 0 g 0%. Saturated Fat 0 g 0%. Birch Benders Griddle Cakes Banana Paleo Pancake Mix. Birch Bender's Banana Paleo Pancakes - You're going to love these! We believe that great food holds the power to bring people together. The idea behind Birch Benders was simple: to make pancakes that are better than at a restaurant and easier than from scratch. Durian paste is used as a flavoring and coloring for desserts and drinks. Concentrate Durian Flavor Paste. Each bottle is 60 ml (2 Oz). We will not call you for any other reason. where available. This system allows for you to get the longest dated and genuine products available. Other Information. 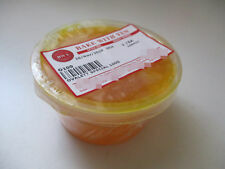 My Product is expired or looks like it has short shelf life?. Gluten Free chocolate cake mix. 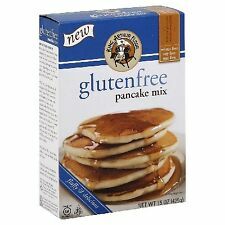 Simply add eggs, oil, water & our gluten, free icing. Gluten free. (uncooked) Unbaked Cake Mix As Prepared 1/12th of cake without icing (81g). 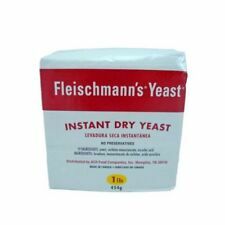 Rice Flour, Sugar, Starch (Potato, Corn), Fat Reduced Cocoa Powder (8%), Palm Fat, Raising Agents (Sodium Bicarbonate, Diphosphates), Salt, Stabiliser (Xanthan Gum), Natural Vanilla Flavouring. Tapioca Starch Gluten Free Kosher Tapioca Flour, also known as tapioca starch, is ground to a powdery fine granulation from the dried roots of the cassava plant. 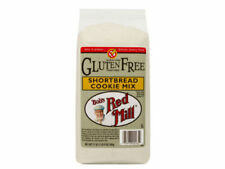 Bob's Red Mill Tapioca Flour Gluten Free. At Odlums, we have been milling the finest quality wheat to bring you Ireland's favourite flour for over 160 years! Our expertise began in 1845 when the Odlum family opened their first flour mill in Portlaoise and we have been milling Ireland's best-loved flour ever since. Ingredients: Pure (Philippine Lemon) Calamansi, Maltodextin. Directions for Use : Tear of the sachet. Pour the powder Calamansi into saucer. Add 2 tablespoon of hot or cold water, per sachet. This Baking Soda is made from the deposits of mineralized sodium bicarbonate. It is extracted by a water process that uses no chemicals. It's also a great household cleanser and odor absorber. Free Of Gluten.